Last week the twenty-third group of Mansfield Fellows arrived in Japan to begin the year-long Mike Mansfield Fellowship Program. The new Fellows began the program with orientation meetings at the International House of Japan in Tokyo, which has been home to the Foundation’s Tokyo office since 2014. The Foundation’s Tokyo office staff explained their schedule for the first few months and provided an overview of life in Japan, and the Fellows met with representatives of I-House and the National Personnel Authority. The Fellows then travelled to Kanazawa, Ishikawa Prefecture to begin a seven-week homestay and intensive Japanese language program. After completing this immersion program, they will return to Tokyo for ten months of placements in Japanese government and nongovernmental entities. The Fellows’ initial placements will include departments and divisions within Japan’s: Ministry of Defense; Ministry of the Environment; Ministry of Finance; Ministry of Economy, Trade and Industry; Ministry of Education, Culture, Sports, Science, and Technology; Ministry of Foreign Affairs; Ministry of Land, Infrastructure, Transport and Tourism (MLIT); Nuclear Regulation Authority; Japan Meteorological Agency; and Cabinet Office. These and other placements will give them unparalleled access and opportunities to learn about Japan and its government from the inside. The nine U.S. federal government employees in this group will work side-by-side with their Japanese counterparts, participating in office activities, meetings, and business travel. Many Fellows also will take advantage of opportunities to work in the offices of Japanese National Diet members, non-governmental organizations, and private companies later in their Fellowship year. 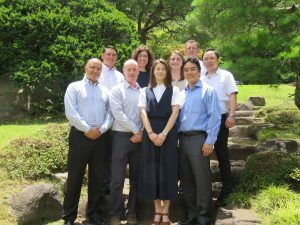 These experiences – as well as additional language training, supplemental education programs, and study tours – will build the Fellows’ skills, expertise and contacts and facilitate their agencies’ work on Japan-related issues when they return to service in the U.S. federal government. The twenty-third group of Mansfield Fellows includes: Richard Banh, Financial Management Analyst, General Services Administration; Logan Barlow, KC-135R Aircraft Commander, Captain, U.S. Air Force; Charles Jake Cadwell, Cyberspace Operations Officer, Major, U.S. Air Force; Gabriel Mahns, Compliance Specialist, Federal Aviation Administration; Laura Marshall, Space Operations Officer, Captain, U.S. Air Force; Ian Morrison,Meteorologist, National Oceanic and Atmospheric Administration; Tony Nakanishi,Reliability and Risk Analyst, Nuclear Regulatory Commission; Michele Tempel, Civil Engineer Officer, Captain, U.S. Air Force; andHeather Ward, International Cooperation Specialist, U.S. Agency for International Development. The Mike Mansfield Fellowship Program is administered by the Mansfield Foundation with funding from the U.S. Department of State. The program was established by Congress in 1994 to build a corps of U.S. officials with Japan experience and expertise. Since then, a total of 159 U.S. federal government officials from twenty-eight agencies, commissions and the U.S. Congress have entered the Fellowship Program. 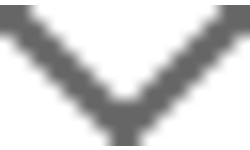 This entry was posted in Fellowship Experiences and tagged Federal Aviation Administration, General Services Administration, Japan Meteorological Agency, MFP No. 23, Ministry of Defense, Ministry of Economy Trade and Industry, Ministry of Education Culture Sports Science and Technology, Ministry of Finance, Ministry of Foreign Affairs, Ministry of Land Infrastructure Transport and Tourism, Ministry of the Environment, National Diet, National Oceanic and Atmospheric Administration, National Personnel Authority (NPA), Nuclear Regulatory Authority, Orientation, U.S. Agency for International Development (USAID), U.S. Air Force, U.S. Department of Commerce, U.S. Nuclear Regulatory Commission. Bookmark the permalink.